There those times that you find yourself in need of guidance, direction from someone who knows you, who understands, but also who has all the answers, who is wise and trustworthy. Your spiritual team ticks all the points, They are always there for you, they love you unconditionally, they are always right, plus they are available 24/7. If only you could pick up their phone and talk to them. Learn how can you actually connect with your spirit team, Who are they exactly, how they respond, and how can you most benefit from their guidance. Spiritual team is a set of non physical beings, with great divine power, wisdom and light. They are on a task to look after you while you are on earth, and assist whenever you in need for their help. One Archangel is part of this team overseeing your progress, and infusing you with light whenever you need it. Usually, based on your soul’s path and characteristics, you belong to specific Archangel Team. If you have the gift of healing Archangel Raphael might be your Archangel, if you have an artistic talent archangel Gabriel might oversee you, and so on. A number of Angels called “guardian angels” are also in your team of guides. There can be a number of 2 – 8 of these Angels depending on the phase of your life, what you need at a certain time and / or how much assistance you require. Usually, you have 1 or 2 angels always with you constantly, but several others come and go whenever you need them. These Angels are great protectors of your light, and send you signs, people and events to keep you aligned. They send you healing, and boost your energy whenever you ask for it. Usually your main guardian angels are with you from the beginning of your soul creation and accompany you in each reincarnation. Spirit guides are always available to you, to guide you and direct you. If you ever lose your way, your spirit guide sends you inspiration, insight and even dreams to help you on your path. While in spirit, you closely work with them to expand your gifts. In many cases they even incarnate with you to help you grow further. Spiritual teachers and or ascended masters can also be on your team especially when your path has a greater purpose for the universe. Usually light workers, who come on earth to help others and the earth, are always looked after by ascended masters and spiritual teachers. Spirit animals can also be part of your spiritual team giving you special gifts and talents that can be of use while in this life. So now you know that you can never be alone while on earth as you have so many lighted beings looking after you. But how can you connect with them? The answer is through prayer. Every time you pray, your invocations are heard and always answered to. But more times than not, you miss that reply. After you ask for help, your team always finds ways to reply to you. Responses come through your dreams, through inspiration, while in meditation, through synchronicity, through repeated advice from others, through a book, an idea and millions of other ways. The question is: are you really listening? The channeler allows the insight and guidance from your angels to flow to him/ her through the clair abilities. The clair abilities let him or her to receive blocks of light that your spiritual team sends, and he/she translates it into mental images or unheard words. This also includes an increased state of knowing and sometimes feeling. For this type of reading it is required that the person connecting to receive the messages for you (channeler) has cleared their energy, and achieved stillness to allow the new information to flow in their mind. As you already understood, I’m not referring to angel card reading but direct angel guidance. 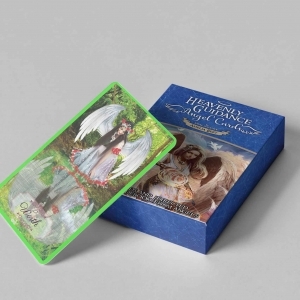 What is the different of an angel reading & an angel card reading? In an angel card reading one relies in the cards he/she picks to receive guidance. An angel card reader goes to a process of clearing cards from any negative energy, and then uses their intuition to choose the right cards. An experienced angel card reader, knows to pray and contact divine guidance before each spread. 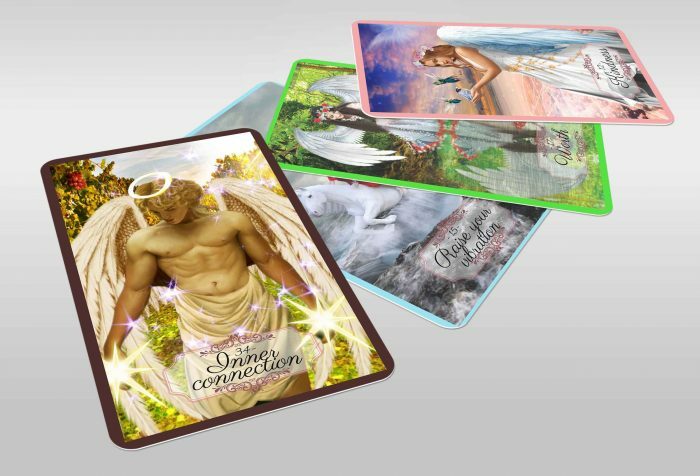 Each card represents a meaning that the card reader combines with intuition to reveal further insight. Moreover, in this type of reading, the card reader uses their words to analyze the reading and only relies on their intuition to translate the cards. On the contrary, in an angel reading, there are no cards or any other tools used. True guidance is transferred from the experienced challener, back to you. The words you receive are from the chaneller’s point of view, but come directly from your spiritual team. They pass on light transitions that the channeler perceives and translates into words. To prepare to receive messages from your spiritual team, or any other lighted being, the channeler prepares his/her own energy for the increased flow of frequency that will follow. 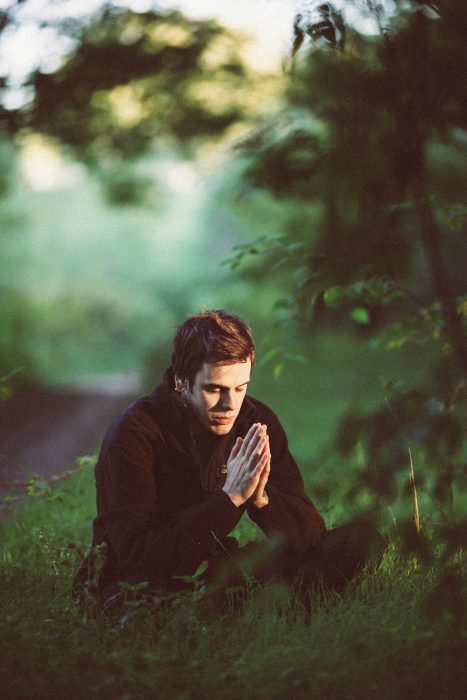 A successful channeling is based on two things: a) raised vibration and b) clear mindset. Angels and lighted beings vibrate in a much higher frequency than any human. To give direct insight or any messages they lower their energy deliberately, so that It can reach the channeler. The channeler in return has to remove all clutter and dense energy, clear the space and work in raising their vibration to establish a clearer connection with the lighted beings. Additionally, the mind needs to be free from thought to allow the new wisdom to form and to allow the mind to cooperate with the energy of the lighted being. Forms of thought are created, images are sent through imagination and knowing and insight is perceived in blocks of thought. There is a fine line between a person’s thoughts, imagination and the messages and images perceived from spirit, so a focus mind and experience is a requirement for any successful angel reading. Angel readings how do I know if they are the real deal? If you decided an angel reading will help you on your path and current situation, then do your research to find a genuine, knowledgeable channeler or angel psychic. Unfortunately, there are many out there claiming to connect with angels and lighted beings but many are scammers, and others are not experienced enough to connect with such high vibrational beings. Read the about section of each person you are viewing, if possible read through their blog and make sure they have good credential and /or good knowledge on the topic. Speaking for myself, (Amelia Bert) I am an experienced channeler and angel intuitive, with 7 books under my belt. When you view my about page, on ameliabert.com you will notice that all of my books are sold through many platforms including amazon. For any challenger this creates an extra layer of confidentiality. Also visiting my blog and reading through the many articles you can make your mind if teachings and style best suits you and what you are looking for. If you feel ready to receive the knowledge and insight from your spiritual team , first you have to set an intention. What do you want to gain from this reading? Perhaps Is it insight on something that happened, a clearer guidance on your path, some assistance about moving forward? Whatever it is set the intention first. Afterwards form your question. Speak your guides and angels directly in written form and ask them anything you require guidance with. Do not ask questions about future events and what will or will not happen. An angel reading does not provide any predictions, but direct wisdom from lighted beings. They never disclose this kind of information as the future is never 100% predestined. They will only tell you when something is certain. Remember that your team wants to help and guide you so any information given in the form of a loving advice. Additional information and details are always recommended not for your spiritual team, but for the channeler. Knowing the situation and what your expectations are, helps the channeler to direct the channeling/ reading accordingly, and helps to ask your spiritual team for further insight when needed. Moreover, a recent image of you always reinforces a good reading. This is used so that the channeler can call for your guides directly by viewing at your picture. It is not needed, but always preferred. A full name, country and age are another important set of information to provide as it helps to better connect with your energy team. What to expect from an angel reading. One or more members of your spiritual team come forward to connect for each angel reading. Each of them has different tone of voice, and different guidance to share with you. The word usage they choose differs, similar to their character. If you ask for the same question in two readings, you will probably receive two similar responses but in a different word usage and even different approach. Remember that they always provide as much information as you are ready to know at any time. Many times you are not prepared to know something because you won’t really understand it. This is true for all of us. For this your team chooses to always disclose as much information as its best for you to know at any time. Trust this; they always give you what’s for your highest and greatest good. Never doubt their wisdom. They love you unconditionally; they always disclose loving words, affection and encouragement to you. Some beings are humorous and others respond in a more paternal-like way. Either way, they know you, love you and never judge you. They never tell you what to do or not do, and they certainly don’t expect you to do all they suggest. They respect your free will tremendously and that includes allowing you to make your own assumptions about a matter, and let you follow your own path. They will never say choose this over something else. They always give you both sides to help you make your mind on your own. In other words they help you make a decision; they never make it for you. As mentioned earlier, the lighted beings hardly ever disclose information about future events. They also never tell you to do something, and they are never harsh with you. Usually, when you ask the same question again after some period of time, their responses might change. This is because you have grown; you have new insight and gained new experiences. They can let you know more information when appropriate. Another important thing to stress is that their guidance may only baffle you than clear you mind. If you want complete clarity in your question, you might not receive it just yet. Many times you need to go through certain decisions and paths in order to gain your own clarity. There are some questions that they can’t intervene with, because they will act as the influences on your path. if telling you a or b will reinforce to an a or b response or choice, that means meddling with your free will and self-lessons. If that is the case and type of a question, they give you a rather general insight to remind you what truly matters and how to approach a situation, but they do not really approach a topic with specific insight. When this happens, there is still a lot more that will unfold for you shortly so be patient. You can ask again after a period of time. They might have more to say. Concerning the form of an angel reading, there are plenty of options depending on which channeler you choose. Some prefer to use email responses to type the answers from your spiritual team, while others record it as spoken word and email to you. 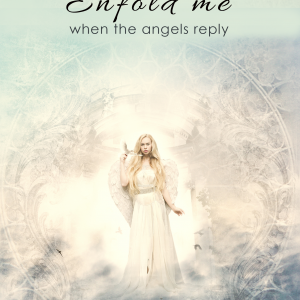 You will find both these types of angel readings on ameliabert.com. Usually however, I prefer typing the response, as it allows you to re-read, pause, focus on a certain phrase that strikes your attention and always have it at hand, or even print it and carry it around with you. I use audio recordings if the information given by the lighted beings is plenty, so a recording will be a better means to put on record all the insight. Can I request a reading for someone else? You can request for a reading when that person has either agreed to it, or when they are very close to you like a child or spouse. You cannot request a reading for someone else as the angels never disclose anything related to privacy of another, by means of free – will. Also another person’s guides will not even show up for a reading if it’s not for the highest and greatest good of those involved. What you can do is ask your own guides for support as to how they can help you with dealing with that specific person or how to help him/her with dealing with something. In few words, form the question in regards to you, and not to them. 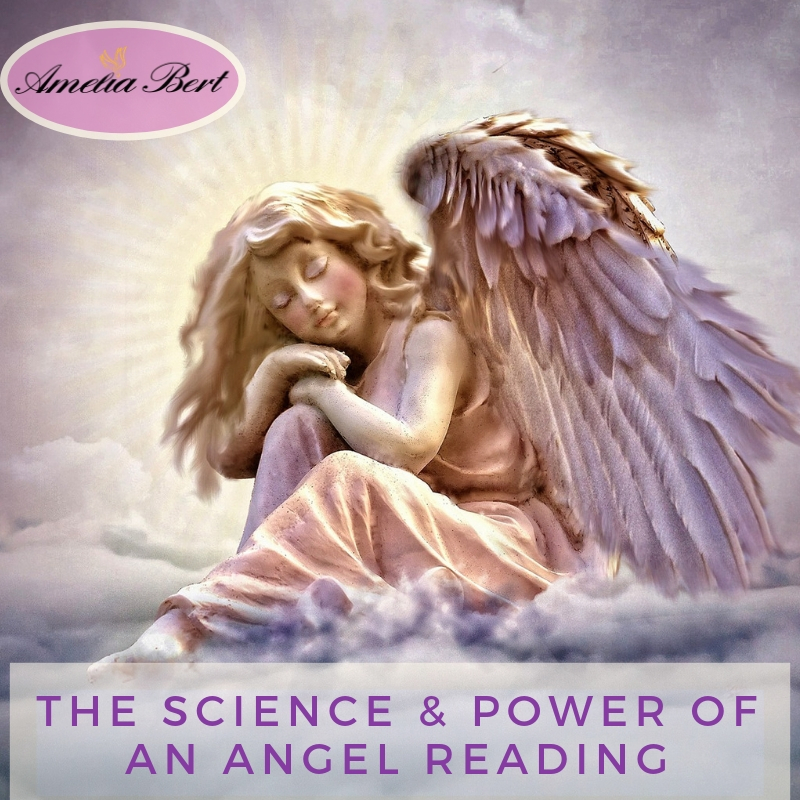 How can you benefit from an angel reading? The benefits of connecting to your spiritual team are truly plentiful. You allow them to help you not only through the angel reading, but even afterwards in your life as you let them to be more involved. As lighted beings value your free will, they only help when you ask, and that is an excellent way to do that. What are the Different types of angel readings? Many channelers, or intuitives use different forms of angel readings. On ameliabert.com you find readings allowing you to impose your question. This lets your spiritual team to focus on a specific question with more detail. Other channelers prefer to answer several questions in a short period of time and price the reading per minute. On ameliabert.com you will find other types of readings such as: Past life reading. This allows you to find details and insight on a past life reincarnation, with your angels choosing what lessons to reveal, that will benefit you in this lifetime. This reading allows you to find the link between certain people that you have in your life today, or realize the source behind certain fears. In either case, it gives you great insight in the lessons of the soul and helps you release things you have been holding on to unconsciously. Soul reading is another form of angel reading with the exception that its sole purpose is to free you from blockages that keep you stuck in this current life. There is the also the option of angel card reading that many people are familiar with and sometimes prefer. Whichever Angel reading you choose, trust that it will be beneficial to you. This sets the tone for the whole reading. What is the price range for an angel reading? 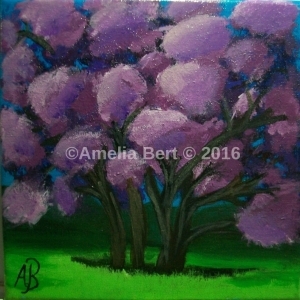 On ameliabert.com I value your need for guidance, so I keep my prices fair in comparison to some other channelers. The prices range from $25 – to $330 for the in depth soul reading & healing. I have seen people charge up to $500 for 1 single question or up to $15 if they are not very experienced. It is your choice of how much you want to spend, and how much you trust a person to help you with this. Why charge for an Angel Reading you have the “gift” you have to share it for free? I hear this question many times by a lot of people. The truth is it’s not that simple to give a reading. You have to dedicate more than 1,5 hours for a simple reading because you need to clear your energy and re-center, ground and achieve stillness required for the reading. Also it includes a lot of dedication and daily meditation to keep your vibration raised and aligned. When you do give the reading, it requires a lot of energy to receive the downloads of energy given and to translate them into words. Respect your channeler and if you have any questions or hesitation discuss it with them. If any problems arise or you are not satisfied contact them in private. Respect their effort, time and preparation they put into your reading. As a positive reinforcement always remember to give your feedback and a review to help them carry onto this path of helping others. Yes you can! I wrote a book to help you better connect with your spiritual side and inner gifts. The truth is you don’t have to be special to talk to your spiritual team, or any other lighted being. All you need is some focused energy and practice. Hey, I wasn’t born with this gift either, I practiced it, you can too! Did you try an Angel Reading before? Share your experiences below! Tags Angel readings how do I know if they are the real deal?best angel readingCan I request a reading for someone else?How can you benefit from an angel reading?How to prepare for an Angel ReadingHow to receive guidance from your spiritual teamhwo to get an angel readingpsychic reading dos and dontspsychic readings angel readingsThe steps of an Angel reading:What are the Different types of angel readings?what is a channelerwhat is a sprit teamwhat is an angel readingWhat is the different of an angel reading & an angel card reading?What is the price range for an angel reading?what to do before an angel readingWhat to expect from an angel reading.who is spiritual teamWhy charge for an Angel Reading you have the “gift” you have to share it for free?